In November 2011 there were a series of gigs arranged to co-incide with the F1 race in Abu Dhabi. As well as The Cult there were also shows by Paul McCartney and Britney Spears. 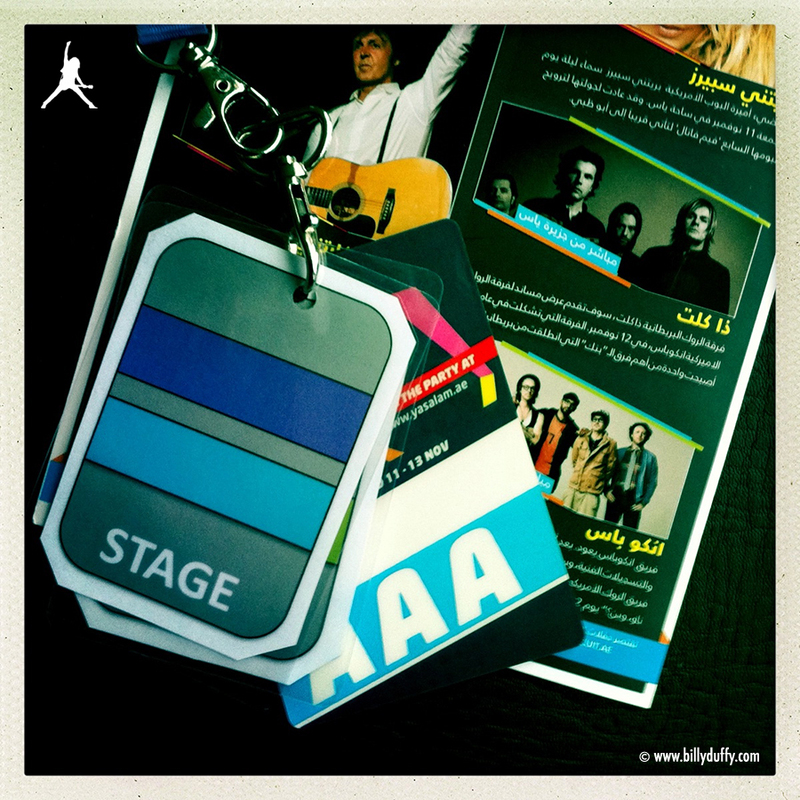 This is Billy's Laminate for The Cult at Yas Arena, Abu Dhabi, United Arab Emirates 12th November.